WASHINGTON — A one-star general and 11 other people associated with an Army biodefense laboratory face potential punishment for leadership, management and technical failures that an Army report says contributed to the mistaken shipment of live anthrax to other labs over a period of years. The report released Friday named Brig. Gen. William E. King, who commanded the lab at Dugway Proving Ground in Utah as a colonel between 2009 and 2011, faulting him for actions that “perpetuated a complacent atmosphere” among lab workers. It also said King “repeatedly deflected blame” for a series of failures and “minimized the severity of incidents” that should have prompted stronger efforts to improve lab operations during his tenure and prevent future incidents. The report’s findings were first reported by USA Today. The report sought to identify the root cause for conditions at the lab that came under public scrutiny when it was disclosed in May 2015 that live anthrax from the Dugway lab had been shipped to 194 other labs, including facilities in all 50 U.S. states and nine countries. 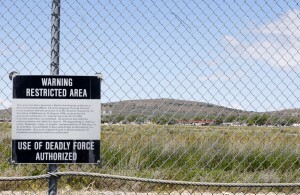 The anthrax was supposed to have been killed before leaving Dugway. The problem came to light when a commercial lab in Maryland tested a shipment from Dugway and found live bacteria. At a Pentagon news conference Friday, Maj. Gen. Paul A. Ostrowski, who led the Army probe, said a combination of factors led to the mistaken shipments of live anthrax. These include “gaps in science,” such as a lack of research on the effectiveness of using gamma irradiation to kill anthrax spores, which was the method used at Dugway. “With respect to the gaps in science, we have a lot to do,” Ostrowski said. “We must investigate the irradiation process, which is the preferred method of inactivating anthrax. We are lacking in terms of the amount of information” on various aspects of the spore-killing process. Ostrowski’s report said investigators could not pin blame for the latest Dugway anthrax lapses on any individual, but it said the Army should consider holding King and the 11 others accountable for their failures. The Army has not yet taken disciplinary action against any of them. The names of the 11 other individuals were blacked out in the publicly released report. It described them as a combination of military officers and others, including laboratory technicians who “failed to exercise due care.” Together, King and the 11 others “created conditions allowing a culture of complacency to flourish,” it concluded. After leaving Dugway, King was promoted to brigadier general and is now commander of the 20th Chemical, Biological, Radiological, Nuclear, Explosives Command. A phone message left with his public affairs office requesting comment on the report’s findings was not returned. The report said that during his time as Dugway commander King had a duty to “think strategically” about how a series of flaws and mistakes at the lab during his tenure were related, to notice that they had widespread implications throughout Dugway Proving Ground, and to investigate and remedy problems. “Colonel King failed in these duties,” the report said.